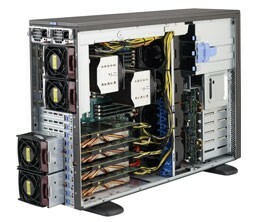 Perfect Business-Class Servers, the CyberServe XE3 ® range is based n Intel Xeon E3-1200 processors. Ideal for value-conscious companies looking for a robust and affordable system, the CyberServer XE3 ® range is designed for use as a entry / mid-level server. Servers are configurable with up to 32GB DDR3 RAM and 4 processing cores, with a single processor. 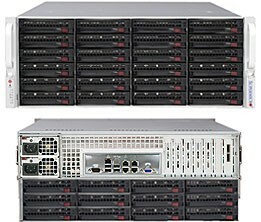 The Supermicro 6048R-E1CR36N is designed for optimal performance, the dual-processor and the uni-processor support the QPI (9.6 GT/s) format Xeon® E5-2600 v3 Family processors in a high-density 4U form-factor. The Supermicro 6047R-E1R36N is designed for optimal performance, the dual-processor and the uni-processor support the QPI (9.6 GT/s) format Xeon® E5-2600 v3 Family processors in a high-density 4U form-factor. 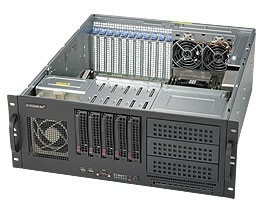 The Supermicro 6048R-TXR is a 4U Rack Workstation with Redundant Power Supply, and 5x High-Capacity 3.5" SATA/SAS Hot-Swap Bays. 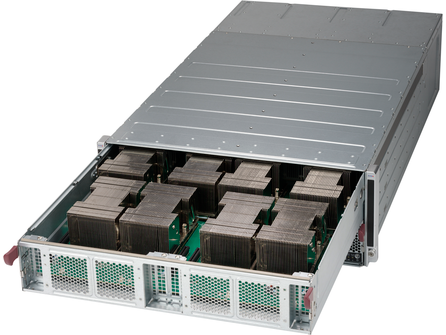 The Supermicro 4028GR-TR is a 4U rack server with a 1600W redundant power supply, and support for 8 NVIDIA Tesla or Intel Xeon Phi GPU cards. The Supermicro 4028GR-TRT SuperServer is a 4U rack server with a 1600W redundant power supply, integrated to 10 GbE and support for 8 NVIDIA Tesla or Intel Xeon Phi GPU cards. The Supermicro 7048GR-TR SuperWorkstation is a 4U Rack or Tower with 2000W redundant power supply, 8x 3.5" hot-swap bays and support for 4 NVIDIA Tesla or Intel Phi GPU cards. 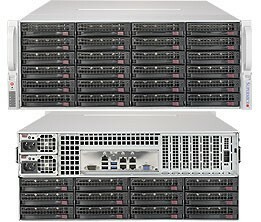 The Supermicro 4028GR-TR2 is a 4U rack server with a 2000W redundant power supply, and support for 10 NVIDIA Tesla or Intel Xeon Phi GPU cards. 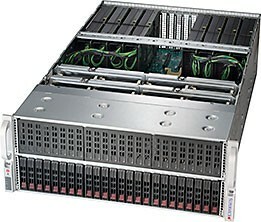 The Supermicro 4028GR-TXR is a 4U rackmount server with 2200W redundant power supply and support for up to 8 NVIDIA Tesla P100 SXM2 GPU cards and 16x 2.5" SAS/SATA/NVMe drives. The Supermicro 4028GR-TRT2 is a 4U rack server with a 2000W redundant power supply, and support for 10 NVIDIA Tesla or Intel Xeon Phi GPU cards.